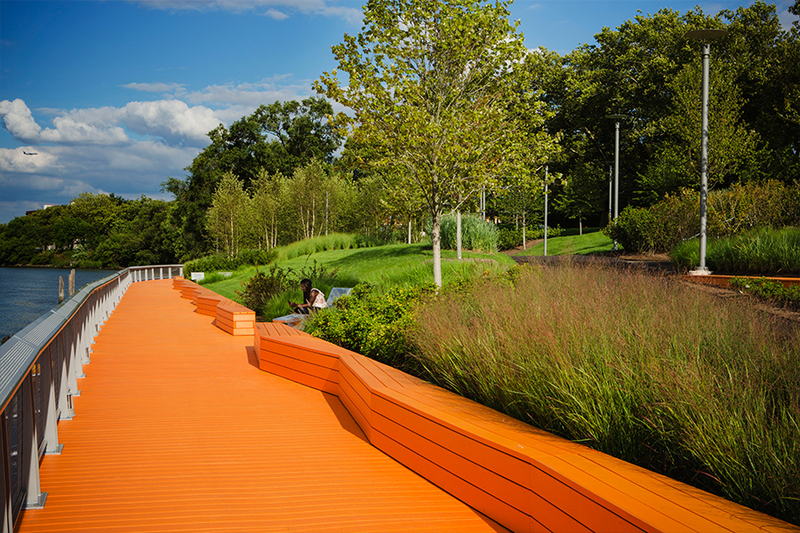 ...was established to represent all licensed Landscape Architects in New York State at the request of the New York State Board for Landscape Architecture. ... is a group of volunteers who are licensed landscape architects from around the state, appointed by New York, and New York Upstate, Chapters of the American Society of Landscape Architects. ... is the group in New York State established to respond to issues of licensure and matters related to state regulations affecting the profession of Landscape Architecture. ... is financially supported by ASLA chapters in New York State and by contributions from individuals and firms. ... is staffed by an Executive Director who reviews pending bills in the State Legislature and acts as the liaison with the professional associations of Architects, Engineers and land surveyors in New York State. Four decades have passed since Article 48 of the Education Law was enacted in New York which licensed the practice of landscape architecture and the title of Landscape Architect. The effort to license the practice of landscape architecture began in the 1940's when ASLA members in the New York Chapter sought to license the practice under the umbrella of statute licensing architecture. Even though the chapter had a close association with architects in New York City through their association the Architectural League, the members were unable to mount a successful effort. Around 1958, the chapter approached the architects again about amending their statute to include landscape architects. This time the architects wisely advised: "Why don't you guys get your own law?" The Chapter took the architect's advice and quickly organized itself in lock-step with the New York Upstate Chapter, each setting up a committee which, together, became the Joint Committee for Licensing, with me serving as Chairman and Official Spokesperson out of the office of Clarke & Rapuano, Consulting Engineers and Landscape Architects, which I was an associate. Assignments were made quickly, mostly ad hoc on a "who knows who" basis. David Levine dealt with downstate with the architects and through his engineer partner, John Kassner, the professional engineers, while Bradford M. Greene, as an officer of Landscape Materials Information Service, used his influence to gain the support of the nurserymen. Gilmore D. Clarke quickly got the approval of the consulting engineers. Upstate in Albany, John Ryan also pursued the nurserymen, while in Syracuse James Glavin, Bradford Sears and George Albrecht dealt with architects and engineers who could influence their peers. In Buffalo, Earl Grever solicited support as did other ASLA members in Rochester and throughout the state. The two chapters appropriated a modest budget to fund the licensing effort. However, the great part of the total expenditure - travel, telephone calls, postage, etc., - was borne by the offices of the committee members. Our greatest expense was for the services of an attorney who was then serving the architects and was knowledgeable in the administration of the state licensing laws. Landscape architecture was generally accepted at the time as a design profession along with architecture and engineering, evident at the national level by a joint committee of the design professions that included ASLA, AIA and the various engineers associations. We faced little opposition from the architects and engineers; the little we got were from those practitioners with narrow, parochial views who saw landscape architects as competitors impinging upon their turf. Consequently, we decided our strategy should be that landscape architecture was a design of profession on a par with architecture and engineering. Therefore, our statute should be equal to those for architectural and engineering. Our attorney used the architect's statute as a model in drafting an act for the licensing of landscape architects. However, there was a serious snag. The descriptions of the practices of architecture and engineering in the Education Law are so broad and encompassing, allowing in essence each to do whatever the other could do, which by strict interpretation includes much of what a landscape architect does. So, the trick was to define landscape architecture uniquely. That we did, with the help of an engineer, Len Huddleston, who was on the staff of the New York State Council of Parks. By 1960, we had completed the groundwork for introducing our proposed bill in the legislature. Governor Nelson A. Rockefeller was in office and the Republicans held majorities in the Senate and Assembly. Obviously, our sponsors should be Republicans, particularly with some legislative influence. Senator Brydges and Assemblyman Hill were suggested to us by, as I recall, James Evans, Secretary of the New York State Council of Parks and spokesman for Robert Moses in Albany. Both legislators agreed to sponsor our bill. Now began our real task. First, we had to educate and inform our sponsors on what landscape architecture was all about, particularly as to how its practice affected public welfare and safety. We prepared a packet of informative materials covering: education and degree programs recognized by the New York State Board of Regents; ASLA, its membership, code of ethics, scope of practices; significant types of projects such as parks, beaches, parkways, athletic facilities playgrounds, subdivisions, school grounds, and demographic data on landscape architects covering graduating rate, number and distribution, estimates of those who would be grand-fathered, and those eligible by examination. We had to demonstrate to the State Education Department, who would be administering the licensing of landscape architecture, and the Legislature that the licensing fees would cover the administrative costs. Since Assemblyman Hill lived in Westchester County not far from me, I became his contact person. Once the bill was introduced into the legislature, I had a standing order to meet with Hill, or speak to him by phone, every Saturday, at which time we discussed progress and he instructed me on materials he needed and steps to be taken. We maintained this personal relationship throughout the legislative session without my ever interacting with anyone on his staff. In Albany, John Ryan was playing a similar role with Senator Brydges. Ryan's wife, Ellen, was secretary to the chairman of the Committee on Education. When our bill was referred to the Committee on Education, it had a low priority in the stack of bills before the committee which were predominantly sponsored by the State Education Department. Ellen made sure the chairman was aware of our bill; at the end of each day, she would reposition our bill at the top of the pile in his file for action the next day. Thus, Ellen helped expedite our bill out of committee for vote by the legislature. Once the bill was introduced in the legislature, the members of the chapters made a concerted effort in contacting their legislative representatives, while the joint committee approached the legislative leaders and the State Education Department. I readily recall a notable occasion when I drove to Albany from New York City with Gilmore D. Clarke and Michael Rapuano in the office car for a series of meetings arranged by Jim Evans. Once was with the Senate Majority Leader, not in his office but in a secret, wood-paneled nook of the state capitol. Equally memorable was the meeting the joint committee held "en masse" one evening with Commissioner Allen, the State Education Department, and his deputy. The bill ground its way through the legislative process and, in typical fashion, came to a vote near the end of the session with scores of other bills. Our bill passed and was sent to Governor Rockefeller for signature. The bill sat on his desk for a week, unsigned. I became nervous. Over a weekend, I telephoned the governor's home in nearby Pocantico Hills. I was graciously referred to his office in New York City. I called there and left a message reminding the governor about the bill sitting on his desk in Albany. Finally, at almost the last moment in mid-April of 1961, Governor Rockefeller signed the bill, making it a law regulating the practice of landscape architecture in the State of New York. The two chapters of New York achieved licensure for landscape architecture in a span of 2½ years. In the eyes of the law, landscape architecture became equal to architecture and engineering. This achievement is notable in that the law was enacted without the touting of a lobbyist and without promising rewards to anyone.